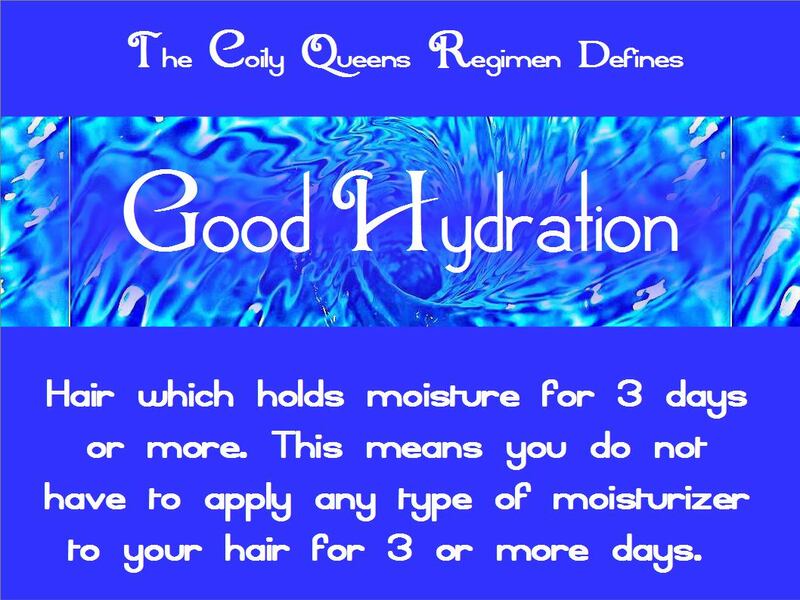 CoilyQueens™ : Getting rid of crunchy, dry hair! Chronic dry hair, is probably, the number one complaint from women, with coily hair.. If your hair has been consistently dry, there is no one step solution to correct it. Most people expect a one product solution to their hair issue. In most cases there are several reasons why your hair is not holding moisture. Therefore it will require more than "one" solution to correct it. The Coily Queens regimen, when followed, gets you to what we call, "Good Hydration". Good Hydration is when your hair holds moisture for 3 days or more, before you need to apply more moisturizer. A moisturizer is a leave in conditioner that contains water. Water is listed as the first or sometimes second ingredient. 1. How often do you cleanse? You cannot expect your hair strands to stay hydrated, if you do not clean your hair on a regular basis. Removing dirt, germs and old product is very important to hydration. You should shampoo twice a week. Germs accumulate daily. 2. What products do you cleanse and condition with? 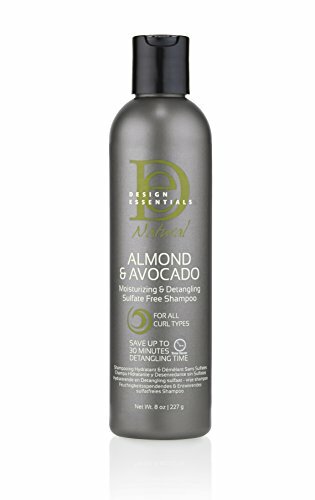 Cleanse with a non sulfate shampoo and a moisturizing conditioner. Choose conditioners with close to all natural ingredients. Add 1 tbsp of honey to your DC. 3. What technique do you use to cleanse and condition? The CQ Shampoo process is a special shampoo technique, that leaves your hair properly moisturized. 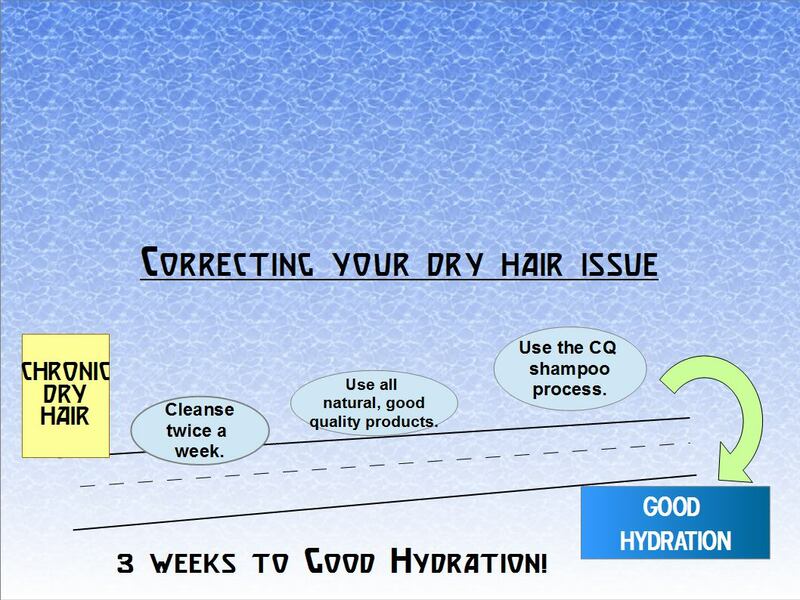 Hair becomes more hydrated the more you do the process. FULL DETAILS on the CQ Shampoo Process. Following these 3 steps consistently and your hair will become healthier overtime. You will reach GOOD HYDRATION, with your hair.